When hygienic processes require instrumentation to ensure products are contamination-free, hygienic pumps are often the solution. Traditionally found within industries such as food and beverage or pharmaceuticals, hygienic pumps are a key ingredient when guaranteeing products are safe for human consumption. BM Engineering supplies a comprehensive range of hygienic pumps, ranging from centrifugal through to self-priming, rotary lobe and progressive cavity pumps. As part of our hygienic equipment range, BM Engineering is able to provide hygienic centrifugal pumps. Hygienic centrifugal pumps are tried and tested instrumentation equipment within the process industry. They provide high flow rates and mixing potential, as well as the fast transfer of abrasive liquids and fluids – safely and efficiently. As such, they are frequently sought after within industries transferring consumable solutions that require a hygienic and sanitary environment. All hygienic centrifugal pumps supplied by BM Engineering come from industry-leaders, INOXPA. 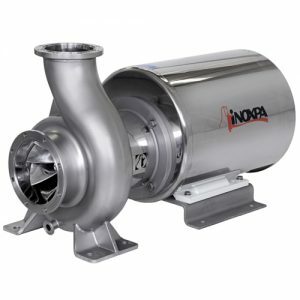 With an esteemed reputation as manufacturers of hygienic and sanitary instrumentation, INOXPA has one of the most extensive ranges of hygienic pumps available on the market. As partners of INOXPA, we are seasoned stockists of INOXPA hygienic centrifugal pumps. For efficient hygienic pumps for sanitary applications, we recommend INOXPA’s Hyginox SE centrifugal pumps. INOXPA Hyginox SE centrifugal pumps are close-coupled centrifugal pumps, with a compact and efficient sanitary design. Made from cold-formed AISI 316L stainless steel casing with a stainless steel open impeller, mechanical seal, lantern and shaft, the Hyginox SE model is connected to the motor shaft via mechanical compression. 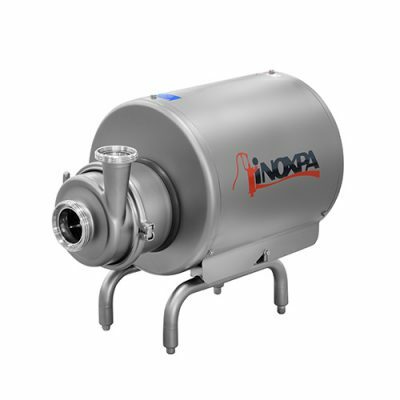 The INOXPA Hyginox SE centrifugal pump is perfect for use in process industries such as dairy, pharmaceuticals and food and beverage. Additional features include a motor, compliance with IEC standards and a protected stainless-steel shroud. The Hyginox SE model also comes with height-adjustable, hygienically designed legs for enhanced functionality. This ensures that this range of INOXPA centrifugal pumps is perfect for applications which require the utmost levels of cleanliness. To find out more about INOXPA hygienic pumps, contact BM Engineering Supplies directly on 0141 762 0657 or email sales@bmengieering.co.uk.